Malala Yousafzai, the Pakistani schoolgirl shot by the Taliban, has been reunited with her friend who was injured in the same attack in Pakistan last year. Shazia Ramzan arrived at BirminghamAirport on Monday after she was granted a student visa to the UK to fulfill her dream of becoming a doctor. "I am so grateful for the opportunity to study here and try to become a doctor. I wanted so much to stay in Pakistan and complete my education but constant threats made this impossible," the 15-year-old said in a statement. In a brutal attack condemned the world over, Taliban gunmen shot at the two girls as they travelled on a school bus through north-west Pakistan's SwatValley. Malala was shot in the head and airlifted to Birmingham for a marathon life-saving surgery, while Shazia suffered gun wounds to the neck and shoulder. She has been living under constant guard as violence escalates in the region. Both girls are being supported by the office of Gordon Brown, the former British Prime Minister who now serves as United Nations special envoy for global education. "Shazia is a remarkably brave young woman and I am delighted she can now safely complete her education here in the UK," said Brown. "It is an outrage that a young girl can be threatened, intimated and deterred from going to school. 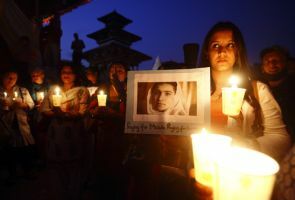 Shazia has told me that she is now more determined than ever to speak up for a girl's right to an education," he added. Shazia's ambition is to return to Pakistan as a qualified doctor. Meanwhile, Malala has become a global symbol of the campaign for the right of girls to an education and has been nominated for the Nobel Peace Prize.